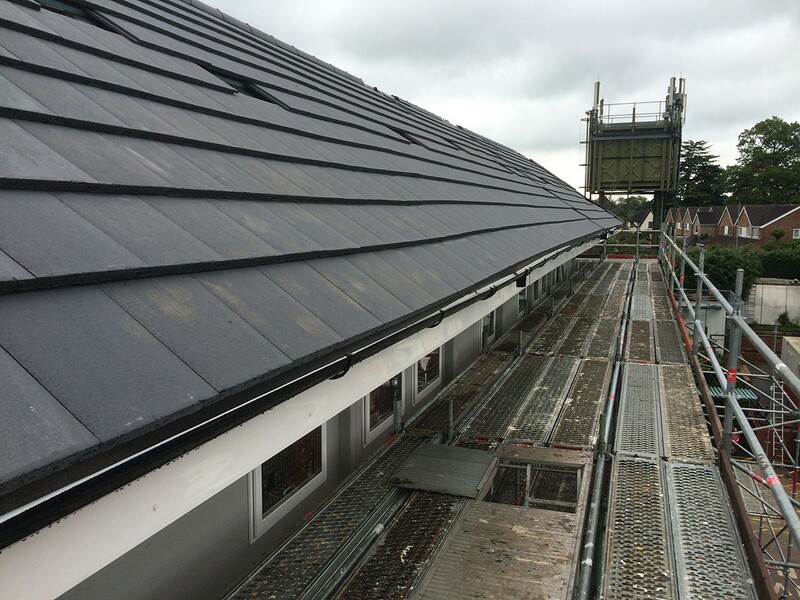 MODUROOF® provides a fast, safe means of roof construction ideal for the new build and expansion of care homes, student accommodation and schools. 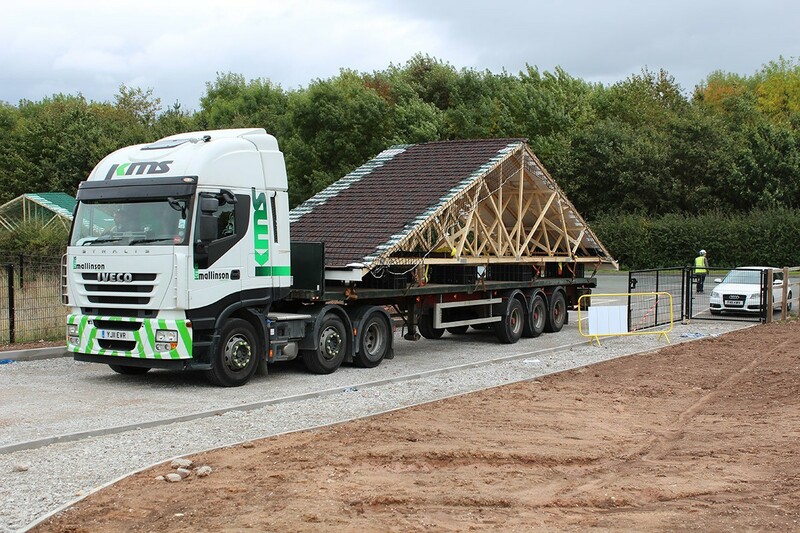 The innovative modular units are manufactured offsite in controlled factory conditions and rapidly assembled onsite – improving schedules for new housing projects where speed and efficiency are key. 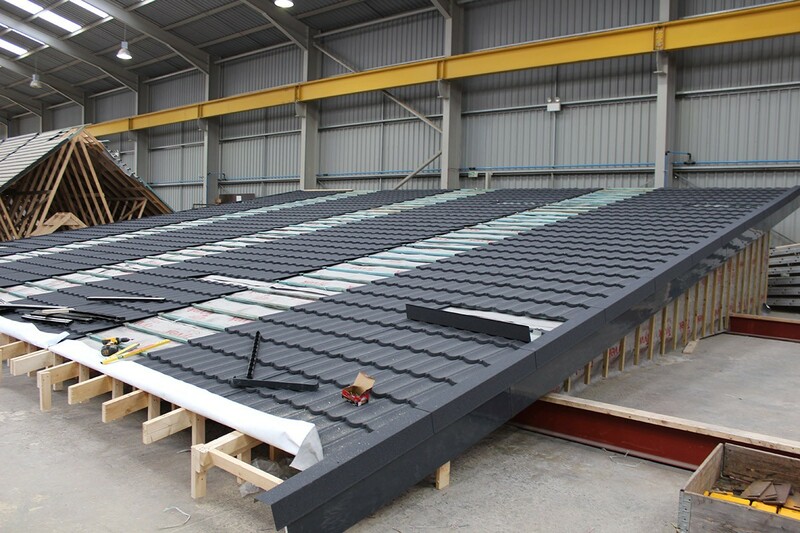 Moduroof light system works with a number of covering options such as tiles concrete, clay, metal tiles and insulated panels in various shapes. 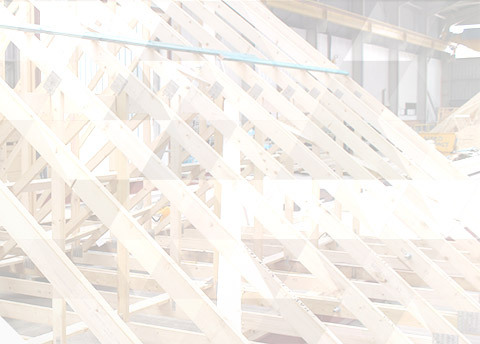 Our module designs are tailored to meet your specific requirements. 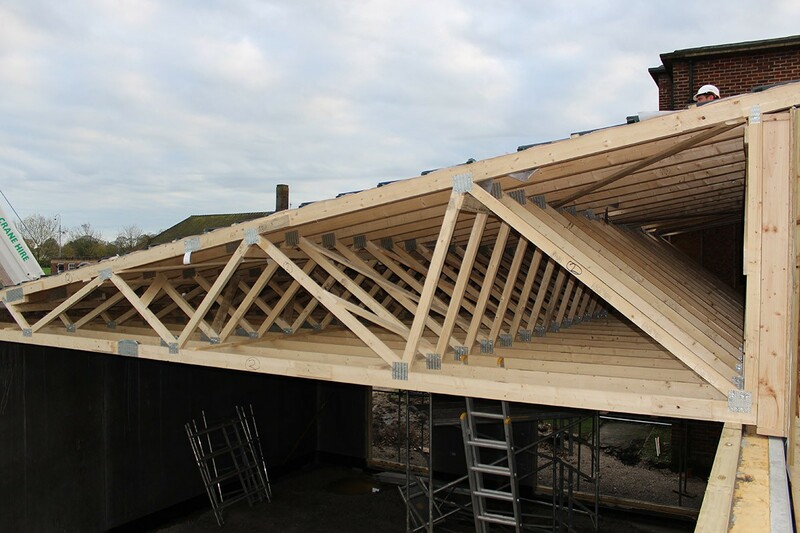 Roof modules come with gables either attached or made as a separate piece, providing an instantly secure, durable roof with light storage capacity. 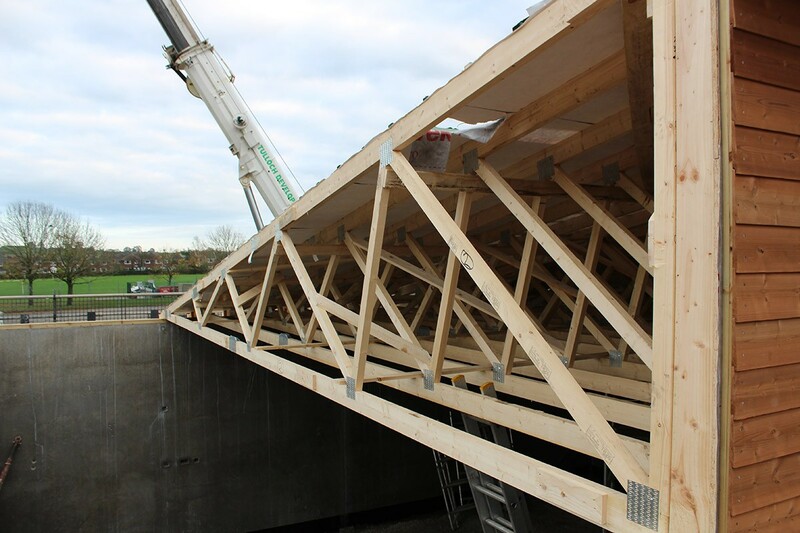 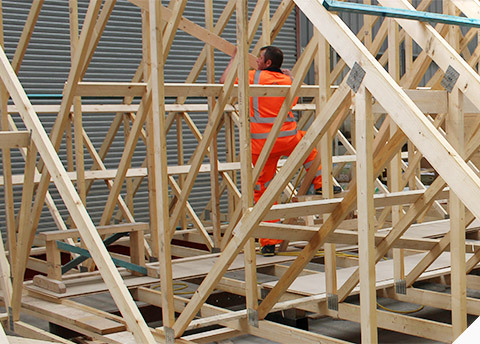 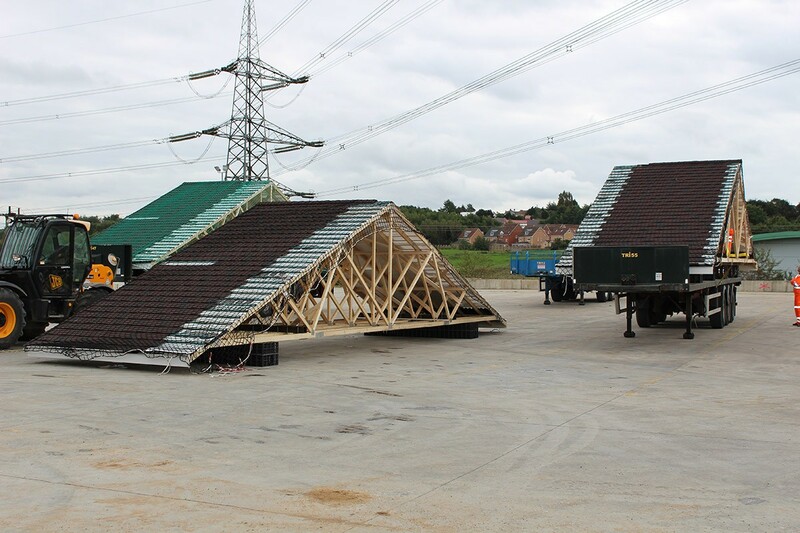 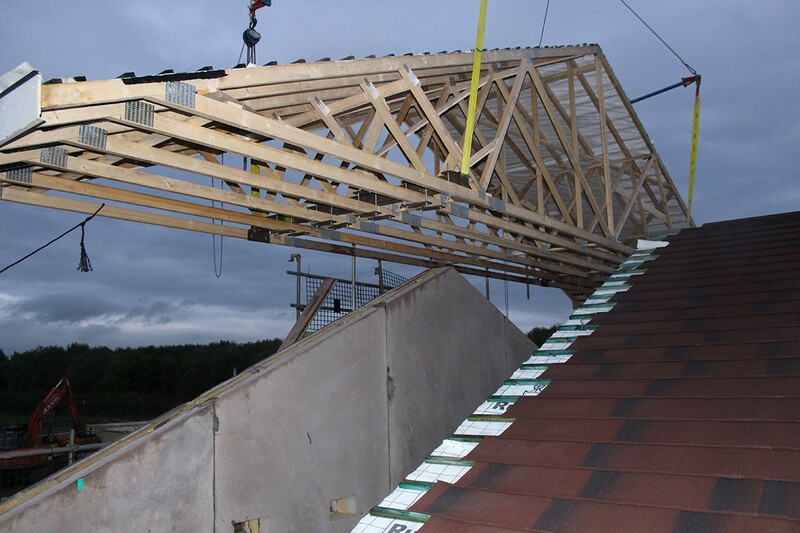 The MODUROOF® Advance system features attic trusses and offers a conversion ready ‘warm’ roof. 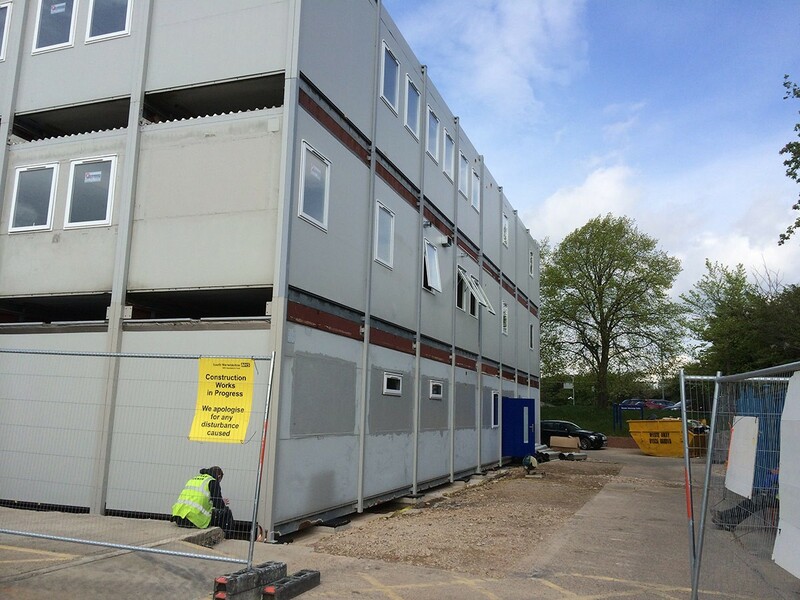 With this option, additional room space can be created at a later stage, thereby future proofing a development. 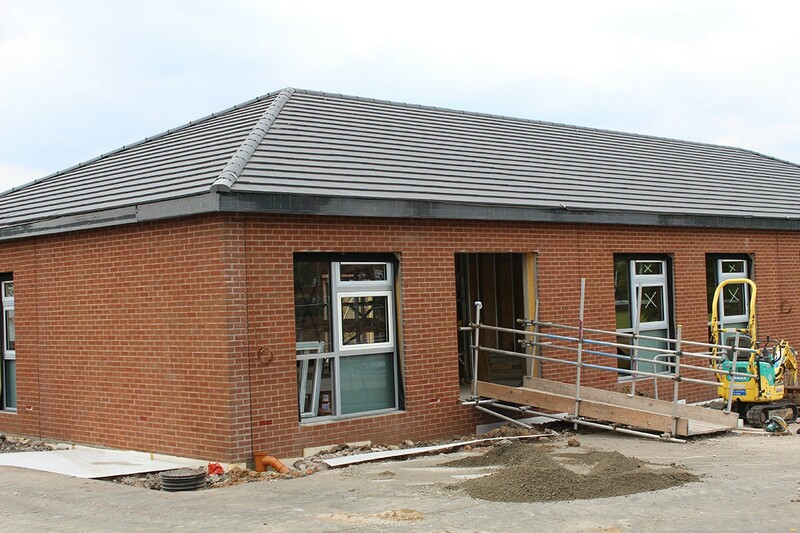 New build or redevelopment of schools and universities often needs to be carried out between term periods and completed by exact dates. 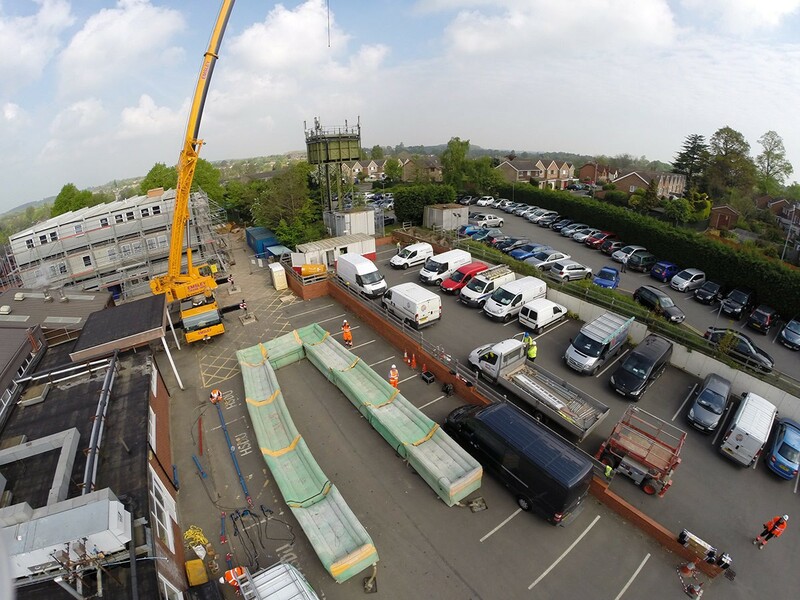 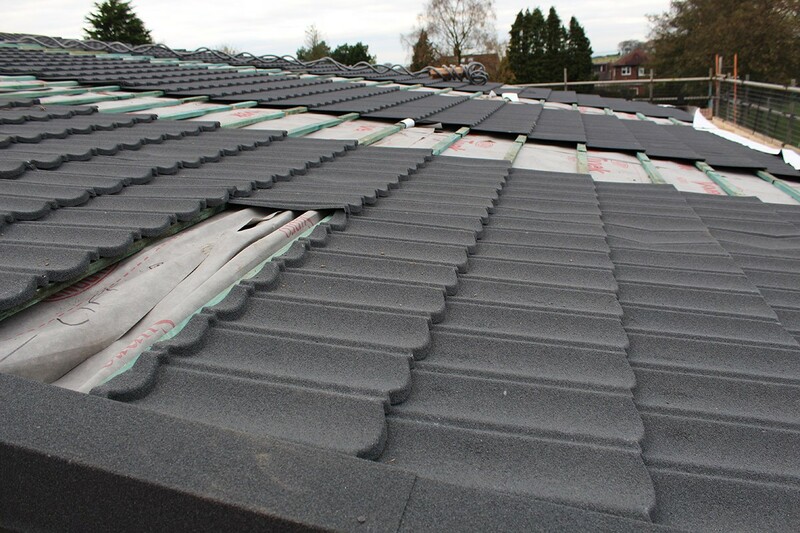 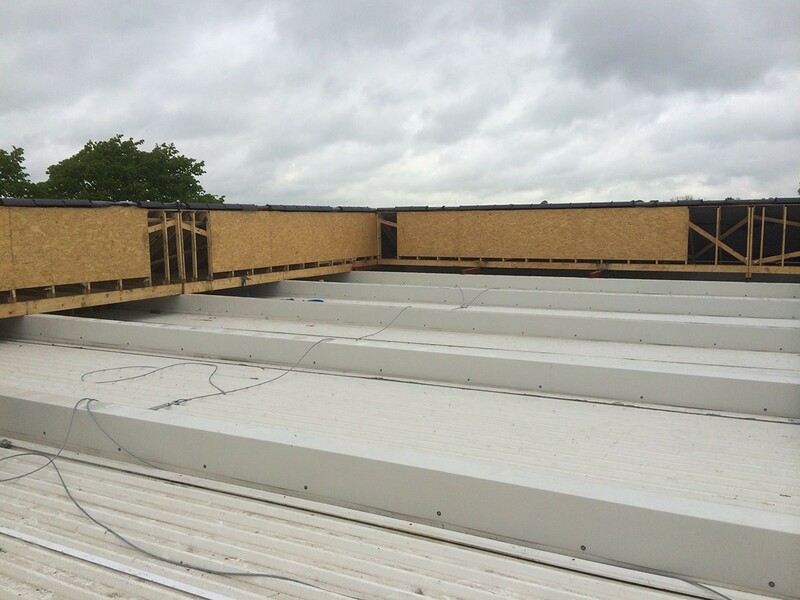 Using MODUROOF® allows work to be finished quickly due to reliable delivery and no fuss, rapid installation and also reduces noise, dust and waste onsite. 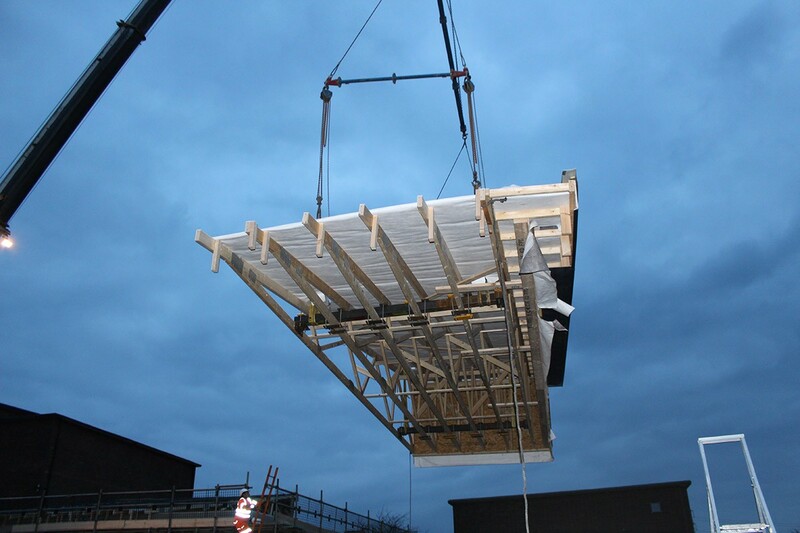 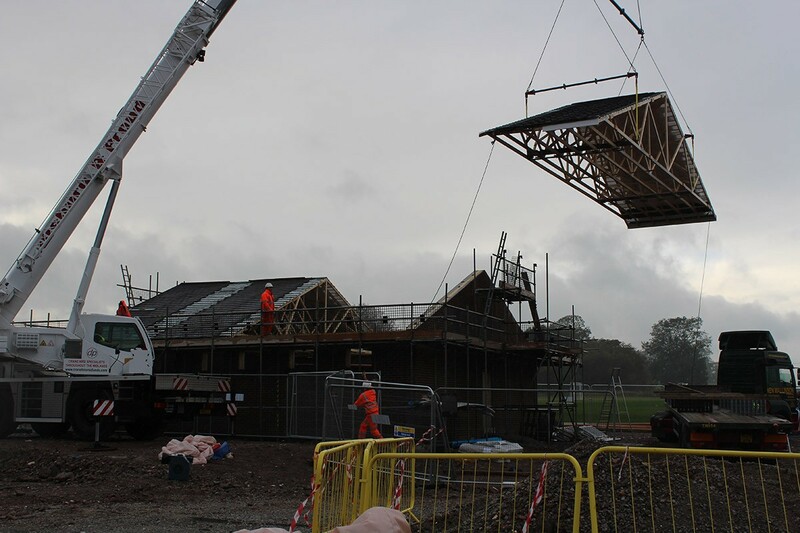 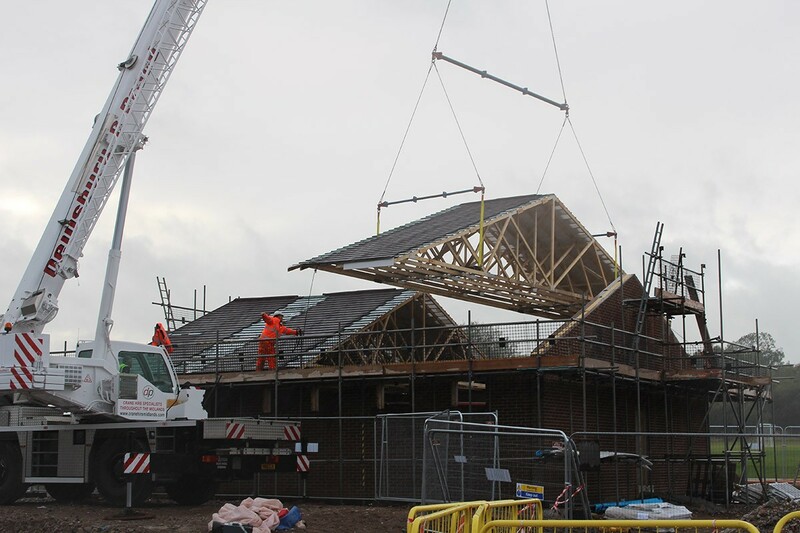 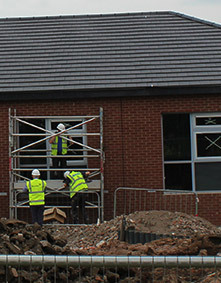 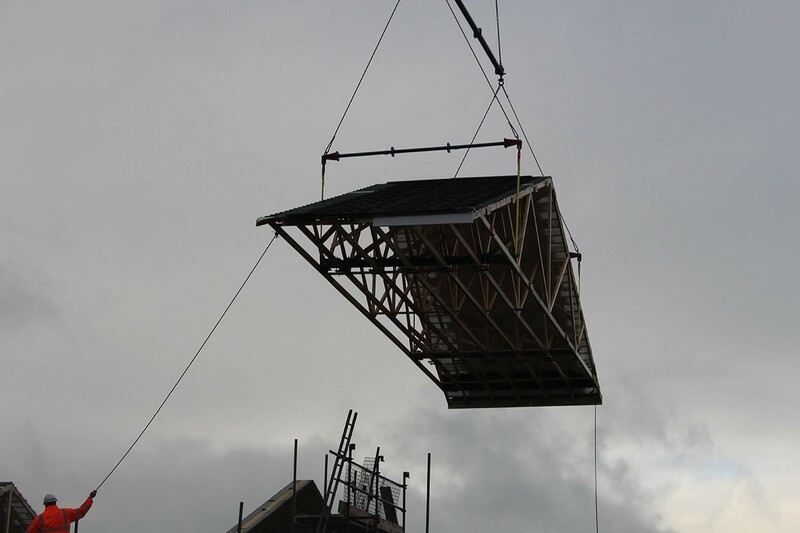 Funding is often a key consideration within the education sector and the cost effectiveness of using MODUROOF® can be calculated in the reduction of labour, storage, scaffolding and other traditional onsite construction costs. 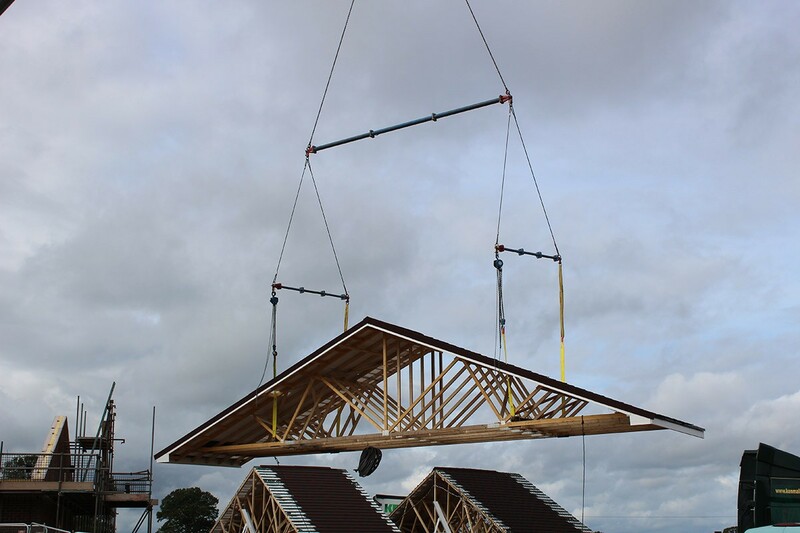 Care homes require short build times for the benefit of both residents and investors. 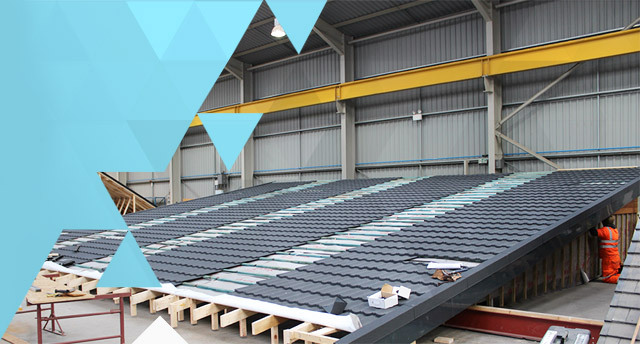 Installing MODUROOF® dramatically speeds up construction, helping to meet and exceed build schedules and keep budgets on track. 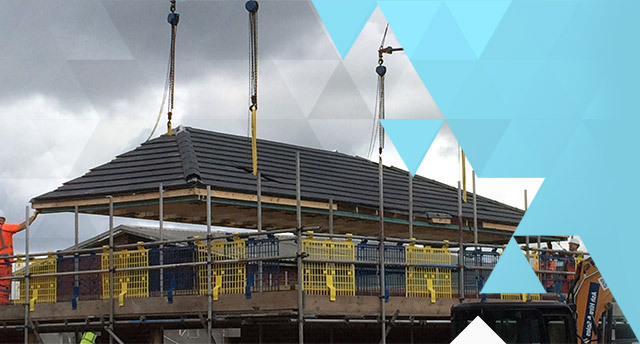 A high build standard is paramount in shared accommodation and MODUROOF® – manufactured to exact specifications in a factory controlled environment – always delivers this assurance of quality. 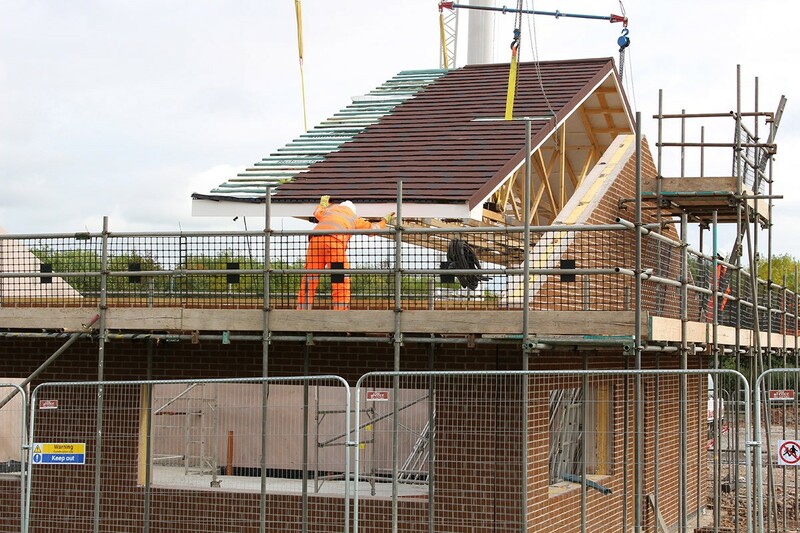 Reduced labour and materials onsite, particularly where existing accommodation is being developed, means less noise, dust and general construction disruptions for residents and staff. 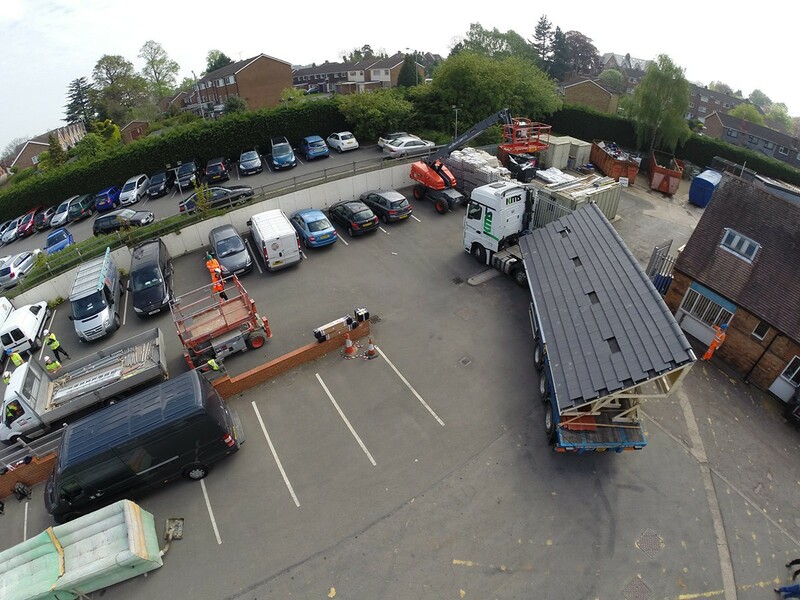 Mono pitch cold roof installed in 1 day to extension building constructed in ICF. 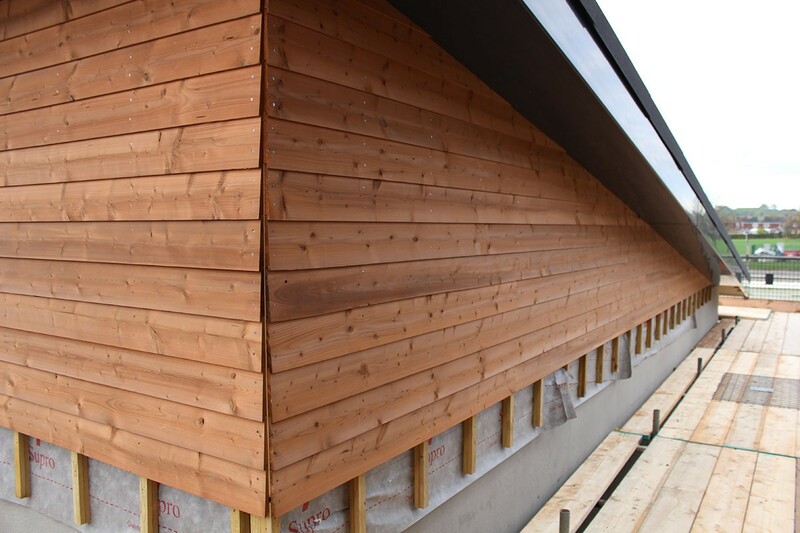 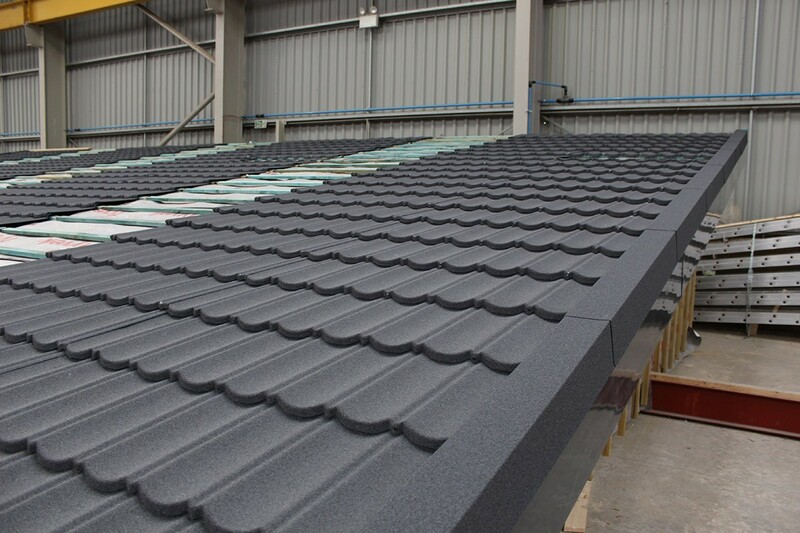 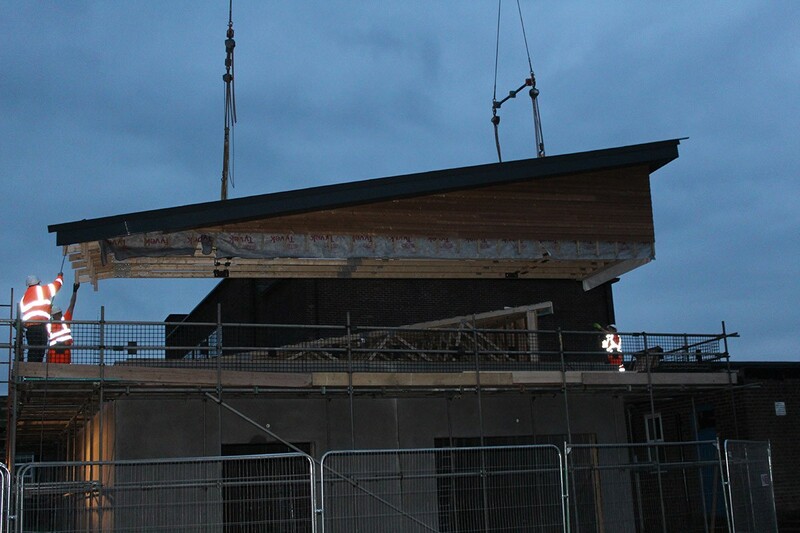 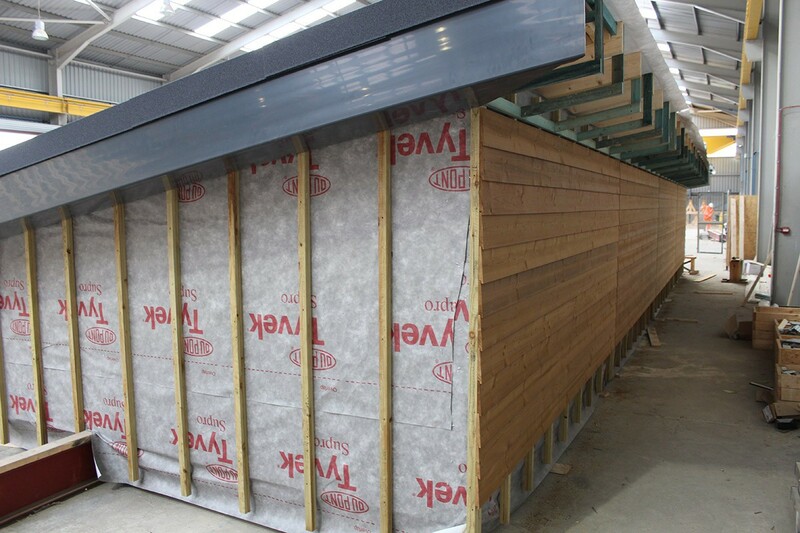 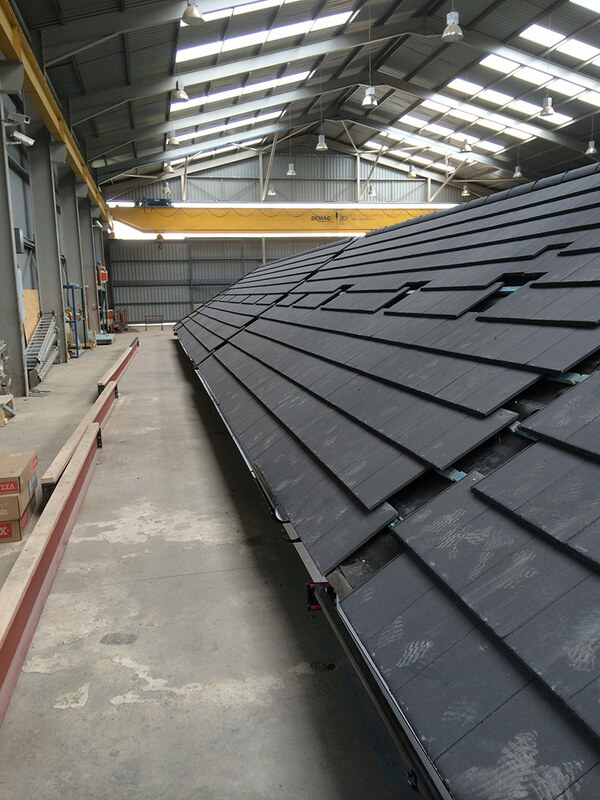 The roof covering was Metrotiles with Thermowood cladding installed in the factory. 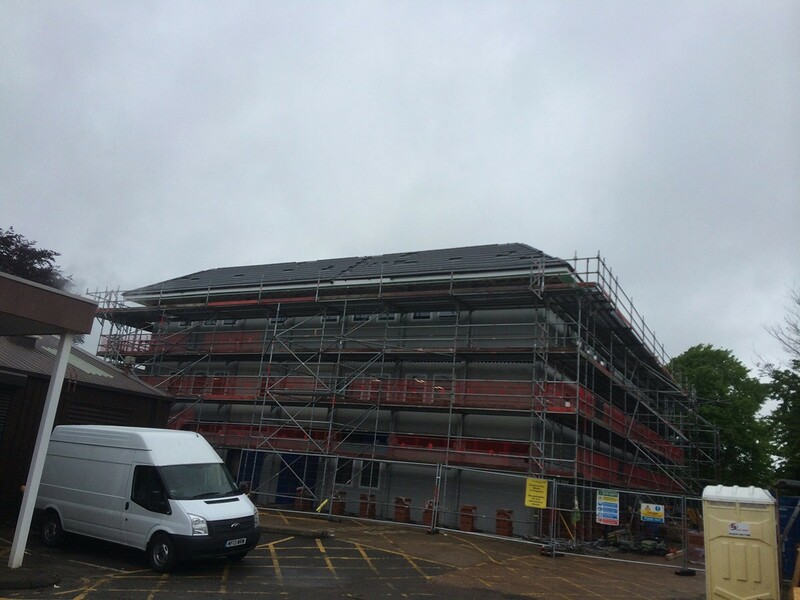 Cold Roof installed in 1 day to compliment a fast build programme ICF construction for Staffordshire Council incorporating for the first time Metrotiles. 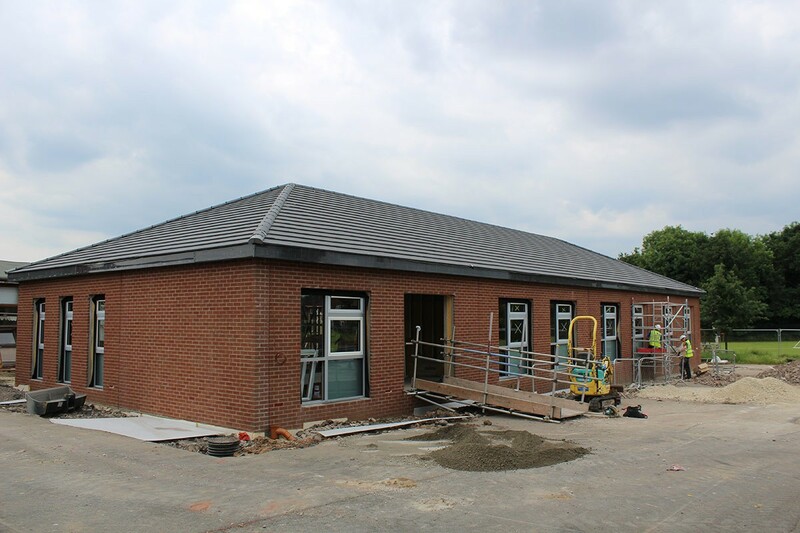 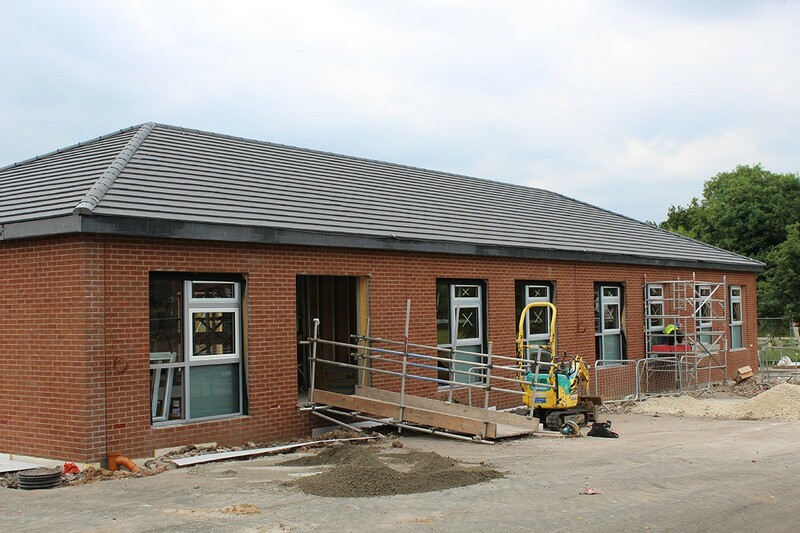 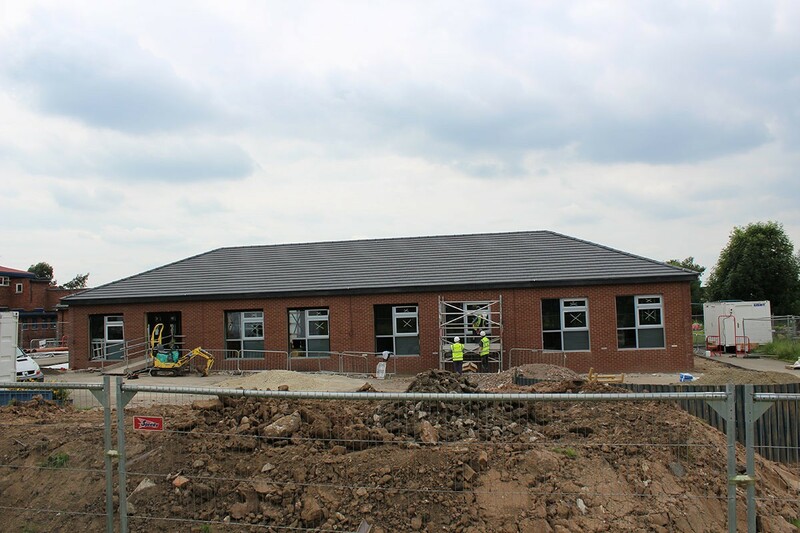 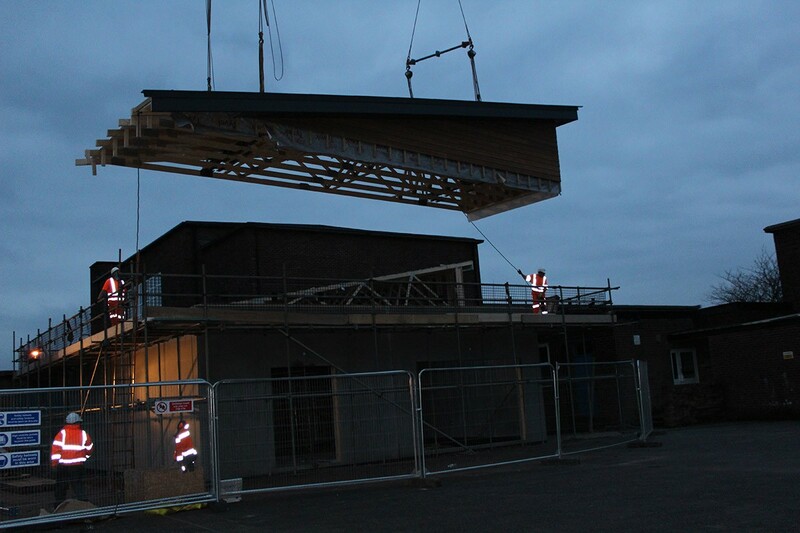 New extension building 30 m x 11 m installed in 4 days within a school half term, featuring a flat roof cassette to interface with the existing building. 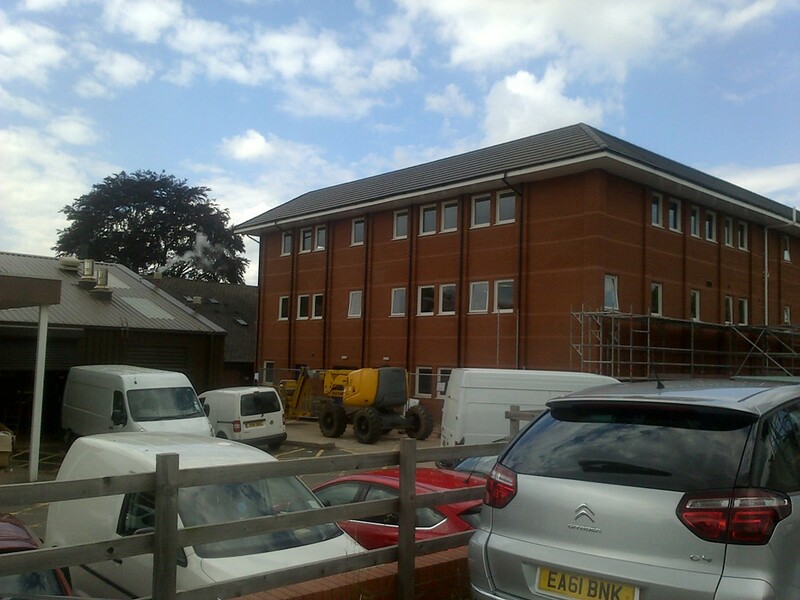 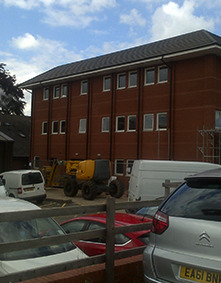 The building was constructed in ICF and thus overall Moduroof offered the client an overall short build programme. 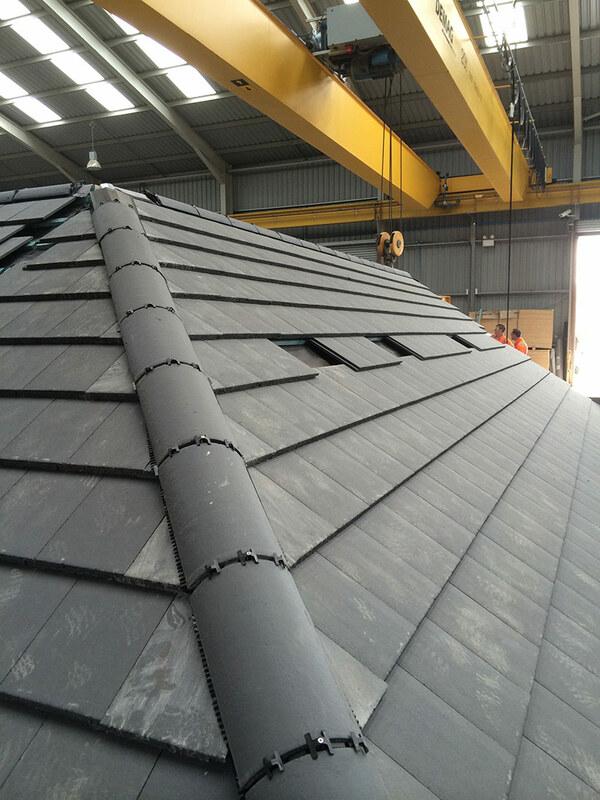 The roof feature Forticrete Donard Tiles.